Chris has been the technical lead and primary developer for the Scripture App Publishing Service. The initial rollout of the service utilized a Minimum Viable Product (MVP) strategy which provides just enough features to satisfy earlier customers and provides feedback for future development. The service has been running for about a year and they have gathered valuable feedback for what needs to be done in the next release. They have also communicated with other partners who have similar needs. 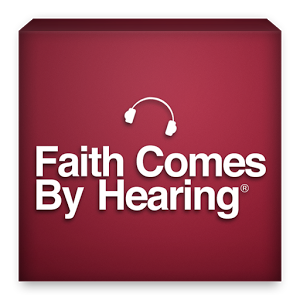 Two of these partners, Faith Comes By Hearing and International Mission Board(IMB), have stepped forward to help with the future development of the service. IMB has a team in Bulgaria who they employ to fulfill different IT needs. Chris has been tasked to design the expansion of the Scripture App Publishing Service and train the IMB team to do the development. He will be traveling to Bulgaria to do the training sometime this fall. Please pray for wisdom for Chris to know how to design the system so that it can be effectively implemented by the Bulgarian team and be flexible for the diverse needs of many organizations. We’re excited to announce that Wycliffe’s most recent devotional, “Searching for Significance”, is now available as a 10-day reading plan on YouVersion! “Searching for Significance” focuses on the search for something more in our lives — whether you call it significance, purpose, or meaning. There’s an innate desire in each of us for our life to matter, and this devotional explores that desire from a biblical perspective as we dive into God’s view of our worth. You can explore more stories and videos about this topic at wycliffe.org/significance. We encourage you to read the plan on YouVersion and share it with your family and friends. It’s an easy way to engage them in a conversation about God’s view of our significance and worth, while also sharing opportunities for them to engage with Wycliffe. Start the 10-day plan today!